The introduction does not have a strict word limit, unlike the abstract, but it should be as concise as possible. It can be a tricky part of the paper to write, so many scientists and researchers prefer to write it last, to make sure they haven’t missed anything important. It works on the principle of introducing the topic of the paper and setting it in a broader context, gradually narrowing the topic down to a research problem, thesis and hypothesis. 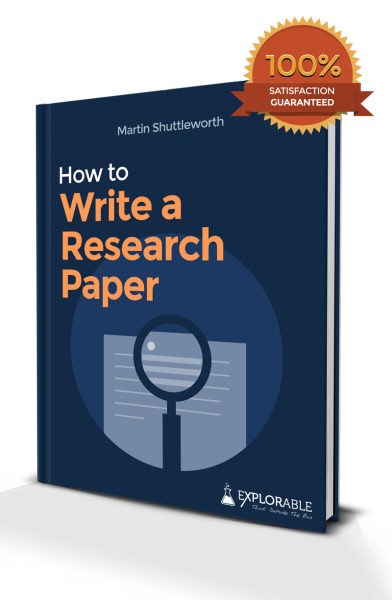 A good introduction explains how you mean to solve the research problem, and creates ‘leads’ to make the reader want to delve further into your work. For example, a paper about evolutionary adaptations need not go into too much detail about Darwin – it’s assumed your reader already has this knowledge..
Like in any good Hollywood movie, the first task of the introduction is to set the scene. This gives your paper a context and allows readers to see how it fits in with previous research in the field. This section, comprising the first paragraphs of your introduction, can be based around a historical narrative, chronologically outlining the very first research in the field to the current day. In many fields, this could make up an entire essay in itself, so be careful to stick to only relevant information. The background then leads into the rationale behind the research, revealing whether it is building upon previous research, looking at something that everybody else has overlooked, or improving upon a previous research project that delivered unclear results. This section can then flow into how you are going to fill the gap, laying out your objectives and methodology. You are trying to predict what impact your research will have and the consequences of rejecting or accepting the null hypothesis. For example, an ideal experiment should have perfectly randomized samples, but there are many good reasons why this is not always possible. As long as you warn the reader about this, so that they are aware of the shortcomings, then they can easily judge the validity of the research for themselves. This is much better than making them wait until you point the weaknesses out in the discussion. You should also highlight any assumptions that you make about conditions during the research. You should set out your basic principles before embarking upon the experiment: any research will be built around some assumptions. For example, if you were performing educational research, you may assume that all students at the same school are from a very similar socio-economic background, with randomization smoothing out any variables. By alerting the reader to the fact that these assumptions have been made, you are giving them the opportunity to interpret and assess the results themselves. After all, a weakness in your paper might later inspire another research question, so be very clear about your assumptions early on. Once your introduction is complete, you can now think about tackling the rest of the paper.